Rotarians are invited to give a gift that will go beyond your lifetime - a donation to The Rotary Foundation's endowment, THE PERMANENT FUND. This fund enables individuals to combine thier gifts into a significant force to address the world's greatest needs for generations to come. In a Rotary year, about $8 million from the Permanent Fund is made available to support Foundation Programs. 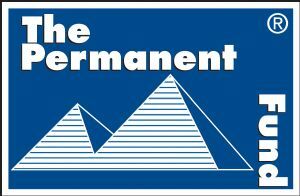 The Permanent Fund is an endowment and the funds are managed very differently from the Annual Programs Fund. The principal of a gift to the Permanent Fund is NEVER spent, but is invested in perpetuity. Each year, the earnings are applied to fund educational and humanitarian programs of The Rotary Foundation and as District Designated Funds, as the Donor so designates at the time of making a bequest. Present earnings do not predict future returns and markets fluctuate, but the Trustees of The Rotary Foundation keep very tight controls on the types of investments made and manage the fund conservatively. Bequest in an Estate Plan. I encourage you to look at the Bequest Facts Brochure and other documents located in the box on the left side of this page to learn more. I will also be glad to answer additional questions you or your members might have about The Permanent Fund. You can also visit the Rotary Website at www.rotary.org and there you will find a great deal of information about this method of giving.